For women, hair is a really tricky business. yay? No joke, A good hair day may make us happy. You know how confident you are when you feel like you look good. Ladies, do you feel more attractive with straight hair or curly hair? In a way, i really like straight hair. Straight hair is more attractive, simple and beautiful. It's easier to mange a straight hair than a curl one. I've attend Sunsilk Perfect Straight event earlier. Sunsilk had just launched a new product range – Perfect Straight Shampoo and Perfect Straight Conditioner that can keeps our hair beautifully straight and aligned as it dries. No heat requires. What a life savior, save up a lot of time!! Agree or not, women spend a whole lot of time on make-up, hairdo and picking what to wear (hardest things ever) every time before go out. Some could really spend up to 2-3 hours, that's really a waste of time. Why spend more time when we can spend less? Now, Sunsilk had came up with this perfect straight technology which allows us to keep our hair straight and smooth after wash.
Sunsilk says there is a magic moment between wet and dry hair when your hair looks perfectly straight and beautifully aligned. But as it dries it starts to pull up and lose shape. Sunsilk expert Yuko Yamishta has co-created Sunsilk perfect straight with a breakthrough straight lock technology to actively control and hold every strand perfectly aligned as it dries. It penetrates deep within the hair fiber, reducing frizz and straightening strands, keeping them fully aligned as thy dry. Experience unbeatable straight, shiny, smooth and gorgeous hair right from the shower. 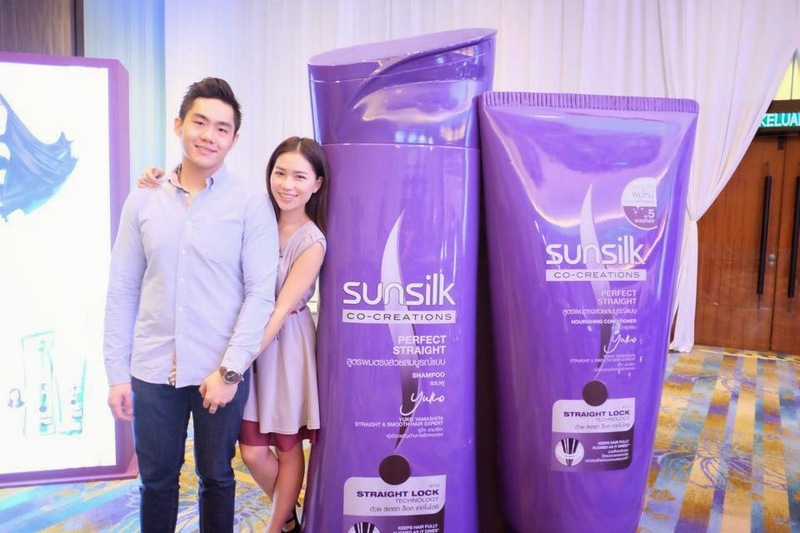 US, taking photo with the giant bottle of Sunsilk perfect straight. Thank you Sunsilk, Each of us gets a door gift from Sunsilk! It's a full set of Sunsilk perfect straight shampoo, conditioner and a purple hair band! Awww, i can't wait to experience it! Everything in purple! So lovely! Last but not least, a photo with the cutest girl Chanwon before i leave. Once again, Thank you Sunsilk for having us! 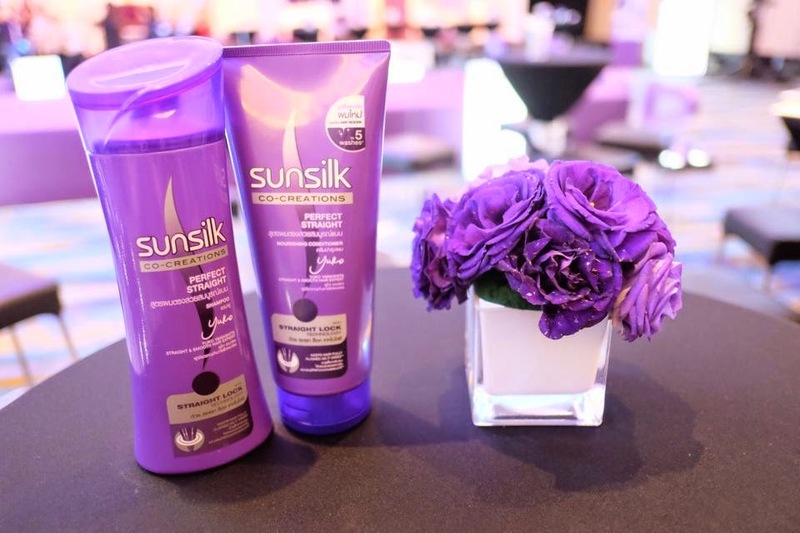 Not to forget that there's SUNSILK contest going on now! the Sunsilk Perfect Straight app. 2. Draw as many straight lines as you can within 30 seconds. 3. Write the most creative slogan about Sunsilk Perfect Straight. Best of luck girls ! !